St. Patrick's Day is an enchanted time a day to begin transforming winter's dreams into summer's magic. Wish for anything! It is possible today. Happy St. Patrick's Day. Wishing you, Good luck, blessings and happiness, for today and every day. Happy St. Patrick's Day. Here's to a long life and a merry one. A quick death and an easy one. A pretty girl and an honest one. A cold beer and another one! St. Patrick's Day is an enchanted time, a day to begin transforming winter's dreams into summer's magic. May you make more of friends, and no enemies. May you make more money, and lose none. 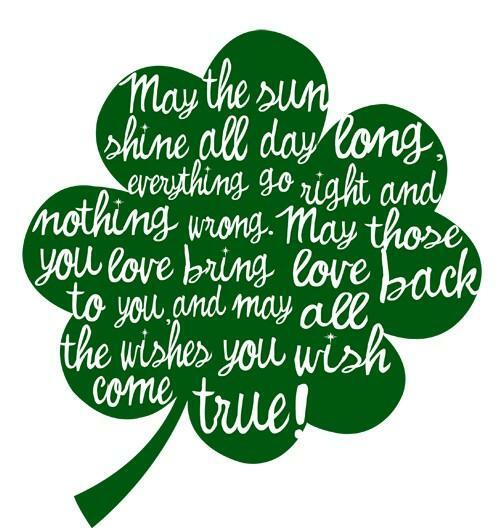 May you get blessed on St. Patrick's Day with Good Luck galore. May lady luck shine on you. 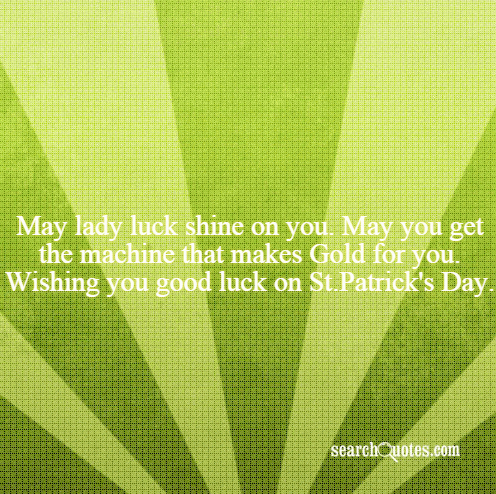 May you get the machine that makes Gold for you. Wishing you good luck on St.Patrick's Day. Wishing you barrels of Beer. Wishing you pots of Gold. Wishing you all good luck. Happy St.Patrick's Day. St. Patrick's Day is a day of cultural and religious importance and is celebrated annually on the 17th of March. It is named after St. Patrick, one of the most widely recognized saints of Ireland. The holiday celebrates the Irish culture and heritage and the arrival of the Christian faith in Ireland. Celebrations involve public parades with people dressed in green attires or shamrocks. While Christians attend church services on St. Patrick's Day. People enjoy the day with great fervor and enthusiasm. 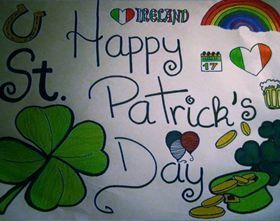 St. Patrick's Day is observed as an annual holiday in Ireland, Newfoundland, Labrador and Montserrat. St. Patrick's Day feast is also celebrated worldwide by Irish diaspora scattered around the world in regions such as Britain, Canada, USA, Australia, New Zealand, Argentina and many other countries.